One application makes you eligible for one or more of the awards administered by the Association. Everyone will be considered for all of the awards, but some have special stipulations. Your unique eligibility could improve your chance of receiving an award. Applicant must have attended Falmouth Public Schools for at least one year between grades 8-12. Scholarship Applications will be available online or at the FHS Guidance Office on March 4, 2019. In person to Ms. Joanne Carrara, Falmouth High School Guidance Office by NOON, April 4, 2019, or by mail to Scholarship Association of Falmouth, PO Box 369, Falmouth MA 02541 – must be postmarked by April 4, 2019. Applicant must download the Scholarship Association of Falmouth Application from this site (available March 4, 2019) or obtain a copy from the Falmouth High School Guidance Office. The application must be filled out in full with a resumé of school and community activities and a one-page essay (list of essay questions). 1.Why do you consider yourself an achiever? 2. How have you made the best of your talents? 3. What aspirations do you have to better yourself and your life? 4.  Why should the Scholarship Association of Falmouth consider you as a recipient?